Maaji’s Sangria The Beverly Bandeau Top offers you four looks in one. 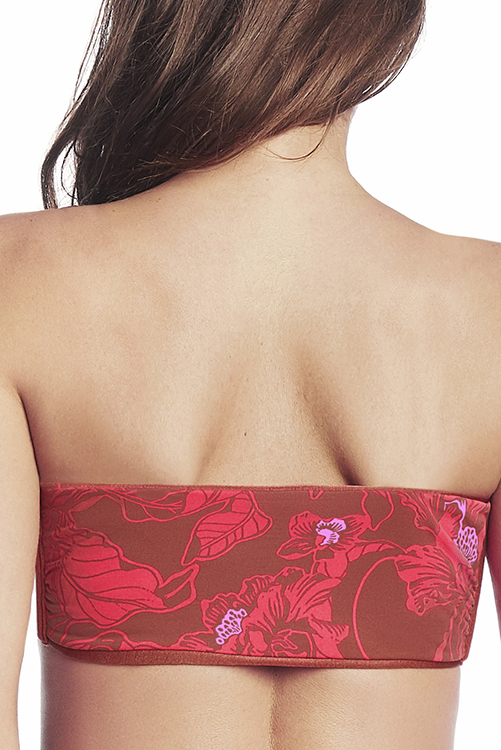 Bandeau design that simply ties at the back to provide a perfect fit for any bustline. Gorgeous dusty wine color with floral embroidery. Wear top with ties in front as well as back. Also, reverses to an all-over floral print. Matching Bikini Bottom: Sangria Sublime Cheeky Bottom.